Colonne, Eduoard - Signed note & mounted 2 sepia photo cards, etc. Home > Previous Auctions > Ephemera Test > Colonne, Eduoard - Signed note & mounted 2 sepia photo cards, etc. E00696. 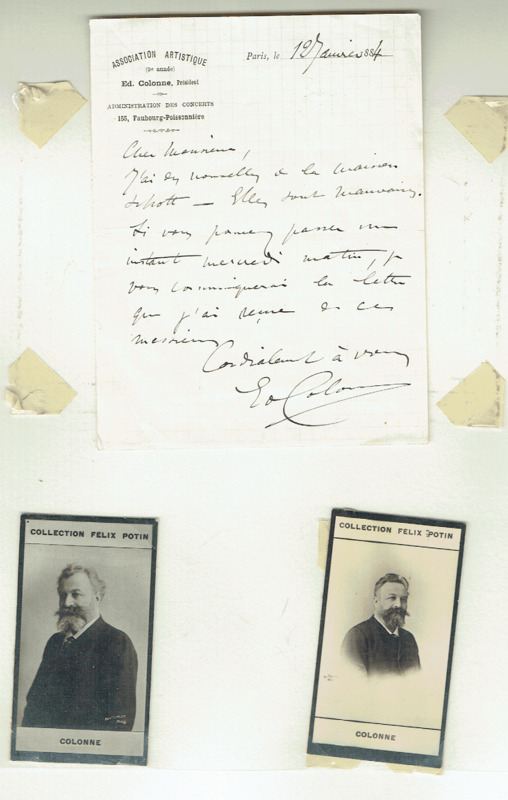 EDUOARD COLONNE - 1 ALS-Association Artistique, January 12, 1884 / plus 2 - 1.5x3 photo cards. Collection Félix Potin.